As patients and their families raise awareness of issues affecting people with rheumatic and musculoskeletal diseases on World Arthritis Day, they recognize the important progress that has been made in understanding and treating these conditions. And they celebrate the fact that the future may be even brighter with the new treatment options currently being developed. But some health care systems are failing patients with psoriatic arthritis and other musculoskeletal diseases, according to leading rheumatologists. Patients are having difficulty finding specialists, getting referrals and paying for their therapies. Ensuring consistent care around the world is a challenge because health care policies can vary greatly from one country to another. “In general, the poorer a given country is, the more of a problem access to health care resources becomes,” Woolf said. In Europe, according to one study, 40 percent of the population—about 320 million people—has “severely restricted” access to treatments for musculoskeletal diseases. The financial crisis has only made this situation worse. Although policymakers remain committed to protecting health care, economic pressure has led to close inspection of treatment cost-effectiveness. Policies addressing this issue have traditionally measured a medicine’s value in terms of improvements in survival rates or life expectancy, often neglecting the economic, emotional and social impact as well as the comorbidities associated with chronic diseases. People need to understand the true costs of musculoskeletal diseases. “People need to understand the true costs of musculoskeletal diseases,” Woolf said. People in pain are less likely to go to work, less likely to contribute to a country’s economic growth. And not treating musculoskeletal issues now can lead to more expensive issues to deal with down the road. “The data show that the sooner you treat the disease, the better the outcomes are in terms of function and joint damage,” Woolf said. 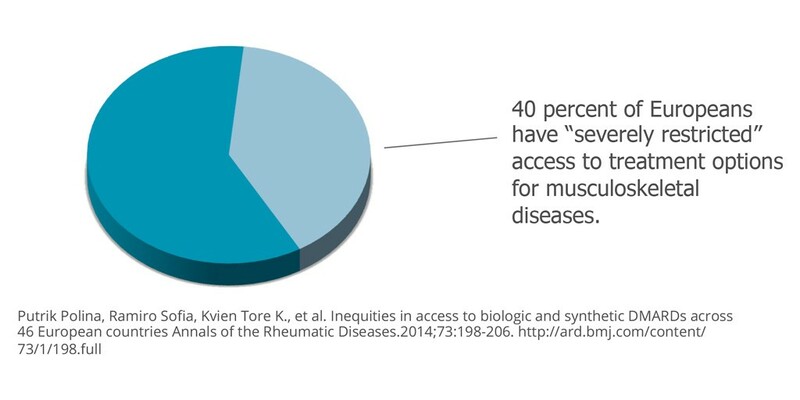 Rheumatic and musculoskeletal diseases are among the most costly diseases and account for almost a third of all disability claims in Europe. 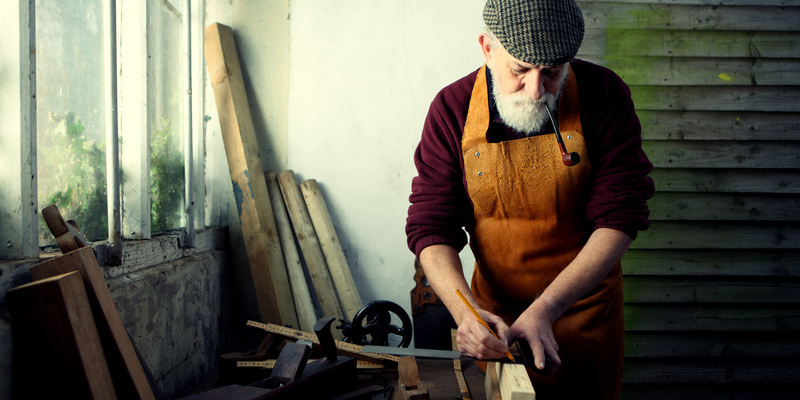 In particular, patients with psoriatic arthritis face unemployment rates as high as 50 percent and workplace disability rates as high as 39 percent. Although early treatment could help reduce unemployment and disability, many with psoriatic arthritis go years before receiving a proper diagnosis. In a recent survey of North American and European dermatologists and rheumatologists, over 75 percent believe that one reason behind this lag is a failure of the examining physicians to connect skin and joint symptoms. Research suggests that better dialogue between dermatologists and rheumatologists could help improve the situation. To improve coordination and develop a more integrated model of care, new health care policies that provide simple, straightforward protocols are needed. Development of such standards is finally underway in Europe. Funded by the European Commission (EU) and the European League Against Rheumatism (EULAR), the European Musculoskeletal Surveillance and Information Network project has published evidence-based and patient-centered standards of care for rheumatoid arthritis, which will be made available in all 23 European languages. Similar standards of care for other musculoskeletal diseases, including psoriasis arthritis, are also needed. Once these standards have been developed, health care systems audit their providers against them. New policies have the potential not only to improve the quality of their lives but also to reduce the economic and societal impact of some of the most debilitating chronic diseases of the world. Last year, the World Health Organization recognized the need for better awareness and care for psoriasis and psoriatic arthritis, encouraging governments worldwide to take action.